Algirdas Paleckis. Biography. | Interportal "Fascism-XXI at your door"
Home » Algirdas Paleckis » Algirdas Paleckis. Biography. 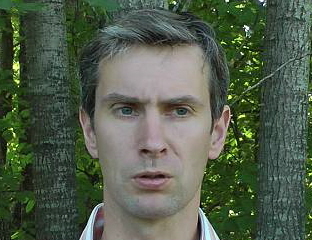 Algirdas Paleckis (born in 1971) is a Lithuanian public figure, political scientist, chairman of the "Socialist People's Front." He graduated from the Vilnius State University, majoring in journalism and political science; studied at the Paris Institute of Administration. In 1994-2003 served in diplomatic posts in Vilnius and Brussels. In 2003, he joined the Social Democratic Party of Lithuania, but for emphasizing the principles of social equality publicly he was expelled from its ranks. In 2004-2006, a Member of the Seimas of the Lithuanian Republic; in 2007-2008, the deputy mayor of Vilnius. In 2008 he and his supporters established a left-wing party "Frontas", which in 2009 united with the Socialist Party of Lithuania into one party called the "Socialist People's Front." In 2010, based on various sources and facts, A. Paleckis said: "As it turns out, on January 13, 1991 our people were shooting at our own people". Before that, a version that on the tragic night (01/13/1991) Soviet soldiers deliberately killed 14 people in Vilnius dominated in the political space. For an active social position and the fight against falsifications of history Lithuanian authorities have begun legal prosecution of A. Paleckis and his party, which continues to this day. A. Paleckis is a chairman of the human rights organization "Lithuania without Nazism", member of the Presidium of the international human rights organization "World without Nazism", the author of articles on the social, economic, and international issues. Fluent in English, German, French and Russian languages.